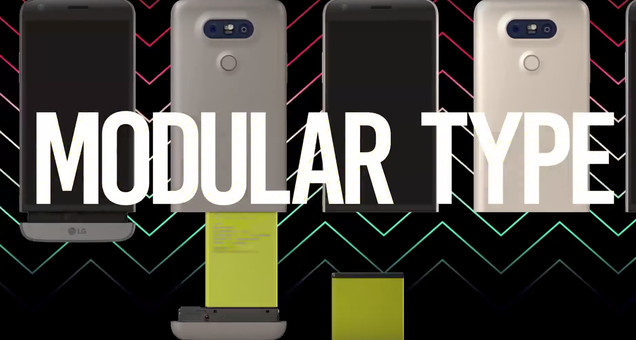 LG is reconsidering hopes that its modular phone plan could be the company’s saving grace, according to a new report from the Wall Street Journal. Last year’s LG5 was supposed to help rescue the company’s quickly nosediving phone business, but audiences didn’t bite and the company’s trying to save itself in time for the LG6. In 2016's mobile market, we were all mostly distracted by the calamitous Samsung Galaxy Note 7 release. You’ll recall the series of reports of phones smoking and bursting into flames before Samsung issued updates to brick the Note 7 line. These devices have not redefined the way we phone, nor have they blown us away with unprecedented speeds, or wowed us with extraordinary battery life.Each of these new phones is merely a marginal improvement over last year’s model. And they’re all actually remarkably similar in some ways. LG5 was trying to be inventive and unique, if not just weird enough on its face to start a buzz. Unfortunately, it was an interesting concept too awkward in practice to use because the module system required completely powering down and ejecting the battery when swapping from one to another. People wanted something new, yes but they also wanted something easy to use. “The estimated G5 shipment for the second quarter of this year will remain 2.2 million, below a previous expectation of some 3 million. This is because the G5’s market response is getting weaker and the company failed to compete with the aggressive promotion campaign of its rivals,” an analyst told Korea Times. So what’s the plan now? For G6, LG says it’s “scaling back” modularity, which is corporate spin speak for “our bad.” Engadget reports that the next phone will be in the $500 to $600 range without the need for additional potholders and a rumble pack to make the phone do extra things. It’s a smart move, but the market remains more crowded than ever. And if G6 can’t balance fun and functionality, LG Electronics’ mobile department may go up in smoke regardless.